This March, San Francisco hosted fashion industry insiders from places as far as Nigeria, India, and Greece for a three-day conference devoted to the global intersection of fashion. From March 15th to the 17th, Fashion Community Week, which is now in its fifth year, provided a platform for those working in fashion, beauty, and technology to exhibit their products and services. Fashion Community Week was created as a podium for budding, talented designers, as well as, successful entrepreneurs to have a conversation about the growing business. This year was the first time the organization hosted a spring edition, which is a testament to the event’s growth and demand. 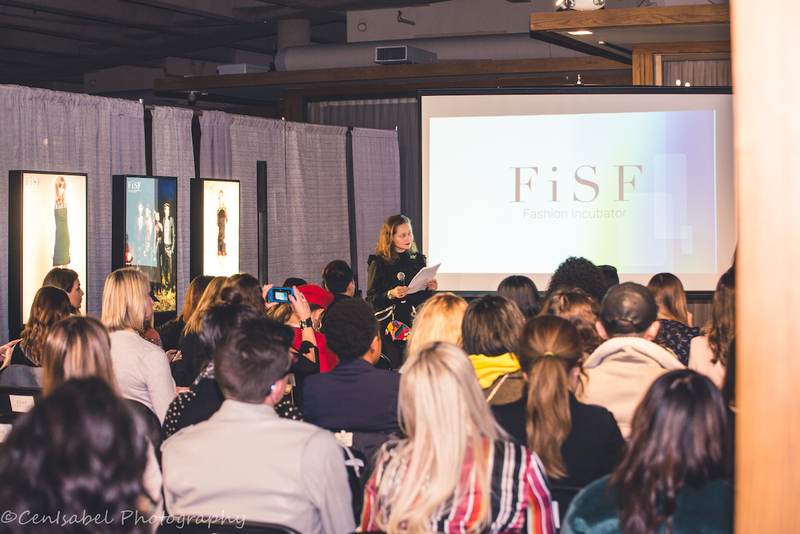 Fashion School Daily and the Academy of Art University’s School of Fashion students and faculty attended to learn more about the evolving industry and how new technologies are pushing for sustainability. Fashion may seem like a stranger to Silicon Valley, but for Hashem, San Francisco is a treasure chest of opportunity where the amalgamation of fashion and tech lead the way forward. One avenue of innovation is sustainability. Fashion is the world’s second-largest pollution producer, with fast fashion rapidly manufacturing clothes to satisfy public demand. Fashion Community Week invited notable speakers to discuss the importance of sustainability, fashion, and technology. Speakers included Janet Wu, who is the founder and chief executive officer of Silk Roll, a digital currency marketplace where customers can exchange and trade clothing pieces online. Wu spoke about the fashion industry’s rate of production and how it is expected to affect the environment in coming years. Meanwhile, the founder and CEO of bag company Tara & Co, Julia Lam, talked about the growth of e-commerce and the challenges her company faces as a start-up in the industry. Whitney Cathcart discussed how fashion and tech not only changed the way customers shop but also revolutionized the whole “ball-play” for the retail industry. Cathcart is founder and CEO of manufacturing and retail consulting company, 3D Look, which focuses on immersive technologies. The second night of Fashion Community Week provided attendees with perhaps the most memorable and dramatic fashion event. Excitement and anticipation filled the air as this year’s six designers prepared for their shows on the fourth floor of the exclusive Olympic Club — a rare privilege, as the San Francisco club had never previously opened its doors to non-members. Each designer brought a different feeling to the night. Presenting first, sustainable and accessible luxury women’s wear label, Agaati, created by Saloni Shrestha, sent models gliding in a tame breeze. Each garment translated a gentle feeling through light color palettes and soft detailing; each piece was crafted with the idea of blending sustainability and contemporary, San Francisco style. In a bolder direction, Seatylish used a combination of vibrant colors, shimmery sequins and see-through fabrics to wow the audience. Seatylish is a “European” apparel brand based in San Francisco. SiBi created a masquerade-theme for the runway; the masks unified lacey looks to create a stand-out production. One of the most revealing and provocative collections of the night, by Ndiritzy, relied on core elements including lace mesh knits covered only by a coat. The brand is dedicated to designing for inclusivity of all sizes. In the end, women’s and children’s designer, Nancy Vuu, created a fairytale. The first model was a young girl dressed like royalty, with a crown and beautiful ball gown to match. The collection was as colorful and whimsical as the collection’s adorable opener, setting the stage for “the Queen” to close the show, before the audience headed to the after-party. Each designer brought their own life and vision to the runway yet perfectly merged to show what a global fashion community really looks like. The third day of Fashion Community Week showcased emerging local designers at the Clift Hotel’s Redwood Room, where Philine Rauh, Vanessalynne, Wear Mahsa, K.D., and Stella Carakasi held showroom presentations. Wear Mahsa designer Mahsa Gharahgozli, who received her MFA in fashion design at the Academy of Art University, showed a collection characterized by a modern silhouette in a neutral color palette of black, white and grey with a dash of red. Her fall jackets stood out the most, including a wrap coat with alphabet print details, a flowing red cape, and a black and white marble cardigan. Their cuts were feminine and flattering — classic with a twist provided by beautifully refined details. “I design for the woman who shines in the daytime and glows at night,” Gharahgozli said. Bay Area designer Vanessalynne Hattar, who grew up in Oakland and lives in Walnut Creek, said it’s crucial for her collections to be manufactured in San Francisco. She has found that designers in the Bay have largely abandoned mass manufacturing and focused instead on quality. “San Francisco has been undergoing so many exhilarating changes with the tech boom, I think fashion should be another exciting aspect of what we have to offer, and I want to be a part of that” Hattar told the San Francisco Chronicle in December of 2017. Judging by her striking, sparkly asymmetrical black “Diot” dress, worn by the model, NZingha, Vanessalynne is definitely one to watch. Unlike attending a fashion show, only, Fashion Community Week is a great opportunity to network with people in the industry and build the fashion community in San Francisco.